Established in 2012, Avid Inspection Services, PLLC is a family owned and operated business serving the Austin metro and surrounding areas. We provide thorough inspections that are focused on the safety and satisfaction of each client we serve. Avid Inspection Services, PLLC specializes in quality home and termite inspections that help you make informed decisions about your investment. Our passion is working with home buyers and home owners who are serious about their real estate investments. We understand that an immediate review of the property is important to the buying process, so we spend time after the inspection to walk through the findings and answer any questions you might have. We provide a checklist and commentary style report complete with digital photos delivered to your secure HomeGauge cloud-based account. The report can be viewed at any time and shared with anyone who needs access. 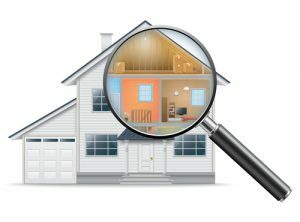 If you are in need of a home inspection and a termite inspection for an FHA or VA transaction, let Avid Inspections Services, PLLC be your one-stop shop for home and termite inspections. Darryl founded Avid Inspection Services in 2012 with a strong background in building maintenance and electrical engineering. With extensive knowledge and experience with home construction, Darryl conducts detailed-oriented inspections of all systems while assessing the root cause of problems. In addition to 27 year of electrical engineering experience, 23 years in the semi-conductor industry, 4 years in the US Air Force as an electronics technician and 2 years of apartment maintenance, continuous education and training supports his passion in providing systematic, thorough inspections. Vanessa brings over 25 years business office and customer service experience. With a degree in Business Accounting, she has a sound understanding of operating a small service business. As our Operations Manager, she will be glad to work with you to fine-tune your inspection requirements.